Like any major city, Los Angeles has its share of historic buildings reputed to be haunted. Surrounding communities like Pasadena and the City of Orange have also found favor among local paranormal investigators, leading to a variety of ghost tours of the LA area's most haunted places. Many people also are fascinated with crime scenes and the final resting places of celebrities, so those tours are included here as well. Most of these tours take place year-round, with a few added during the Halloween season, when they are especially appropriate. The most famous haunted attraction in the LA area is the Queen Mary in Long Beach, which brought its ghosts along when it cruised into the port in 1970. The ship hotel and attraction offers a variety of ghost tours from the cheesy Illusions of the Passed special effects tour to nighttime paranormal investigation tours that take you into the bowels of the ship with the tools of the paranormal investigation trade. 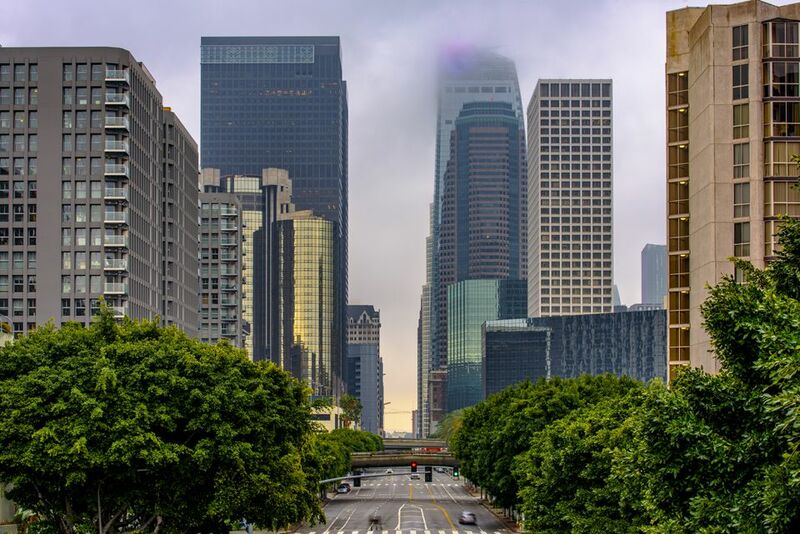 Learn about the "dark side" of downtown LA on this guided walking tour of hauntings, massacres, bombings, and horrific crime scenes. The tour is offered year-round. Parental guidance is suggested. Starline gives guided nighttime tours of famous death and scandal sites around Hollywood. Private tours are also available. Tours leave from The Chinese Theatre. Popular psychic and paranormal investigator Michael J. Kouri offers several different tours of his favorite haunted neighborhoods and haunted theme parks. Each tour includes dinner at a haunted restaurant with a mini psychic aura reading. The Pasadena tour is a walking tour. The Hollywood and Orange County tours are a combination of walking and driving tours; you will need your own car on these tours. Old Towne's Haunted History Ghost Walk is a 90-minute outdoor-only walking tour of the charming Old Towne District in the City of Orange, where many of the houses were built before 1920. On this tour, you will visit a variety of historic homes and businesses. The walking tours leave from in front of the Royer Mansion in the City of Orange. Rudolph Valentino's ghost has been reportedly seen in 13 different locations around Los Angeles, including at Hollywood Forever Cemetery, where he and scads of other stars of the silver screen are buried. Take a two-hour walking tour with mourner-in-chief Karie Bible. Ghosts are not exactly the focus of Dearly Departed tours, although they're mentioned in conjunction with relevant locations. Rather, tragic happenings that include suicides, accidental overdoses, mass murders, and serial killings are the focus of this gruesome tour through Hollywood and environs. Tours are offered daily from Hollywood. Options include the Tragical History Tour, the Helter Skelter Tour, and Nasty Nellie's Hollywood Tour, as well as special Halloween Horror tours. Esotouric is an offbeat tour company that offers a variety of themed tours that include literary and music tours, along with architectural history, but the company is best-known for its diverse crime scene tours. Ghosts might be mentioned, but locations of the crimes, victims, criminals, and investigations are the focus of the tours, even if they've been bulldozed and paved over. Ghost Hunters of Urban Los Angeles (GHOULA) is not a tour company. It's a social group for fans of ghosts and the paranormal. It hosts regular member events and also other public events that might be of interest to ghost hunters. The website also provides maps of reportedly haunted spots around LA. The Charles Manson murders occurred 200 feet away from the Oman House in Beverly Hills in 1969, which is reputed to be haunted by a variety of spirits, including a Tongva Indian buried on the property. Periodic ghost tours and investigations are conducted. You can bring your own ghost hunting tools or use theirs.